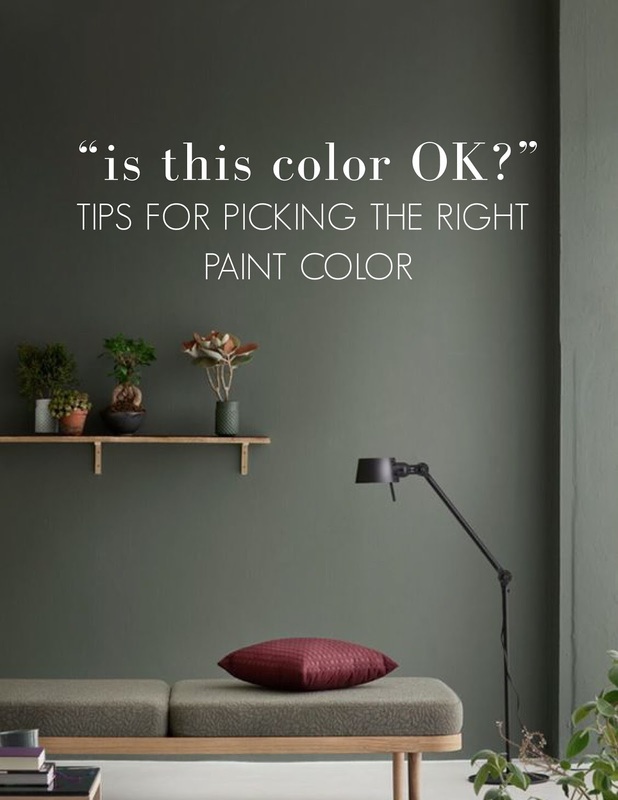 Choosing a paint color can be the hardest design decision you have to make. So here are a few tips to help you make the right decision! 1. Neutrals are your best friend. The easiest, and often times the most successful, colors are white, beige, and grey. If you want color, GO BOLD. You know that color you really want, the one you keep staring at? Go for it! Don’t wimp out and pick the color a couple of shades lighter. 3. The finish makes all the difference. Glossy, Satin, Matte. When choosing the finish the application matters. Is it a bathroom or a bedroom? Is it a wall or cabinets? Glossy and Satin are a little more slick and easier to wipe clean; you will want to use these for things like cabinets and trim, or in a bathroom. Also the finish can greatly change the affect of the color on your room and how it feels. You want little to no sheen on your walls. Lately we have seen a trend on very high gloss colored cabinets. Check out this past bog post see read more. 4. Try it on for size. I know I can never walk out of a clothing store with trying on the item first. The same goes for paint colors; before you paint and entire room, try walking putting a little on your walls first just to test it out. Sometimes a color can look completely different from one room to another, depending on the lighting.